KATHMANDU, September 5: Paving the way for the upcoming elections to the federal parliament and provincial assemblies, parliament on Monday passed two poll-related bills after a month-long hiatus. 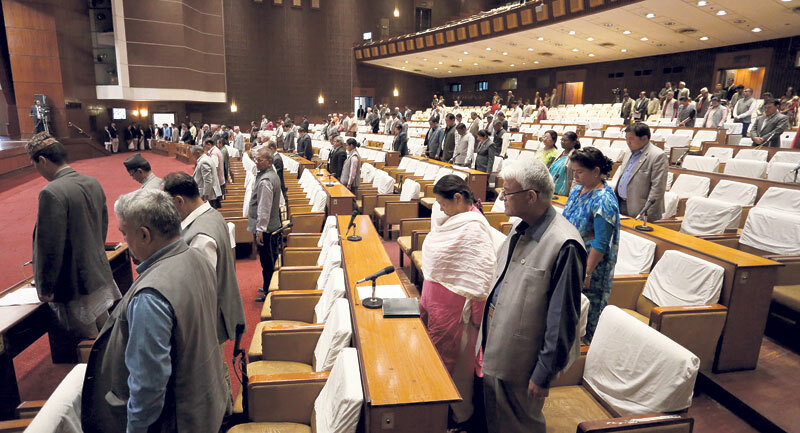 With ruling Nepali Congress (NC) lawmakers dropping their controversial amendment proposals, the Election of Members of House of Representatives and Election of Members of Provincial Assembly bills passed the House by majority vote. The two bills had stalled at the State Affairs Committee (SAC) over a row whether or not to allow corruption-convicted party leaders to contest elections. As many as 18 NC lawmakers had registered an amendment demanding that the corruption-convicted be allowed to contest polls three years after serving out their jail sentences. SAC forwarded the bills to the full House earlier on Monday after NC lawmakers dropped their amendment proposals. With the endorsement of the bills, corruption convicts are disqualified from ever contesting elections. 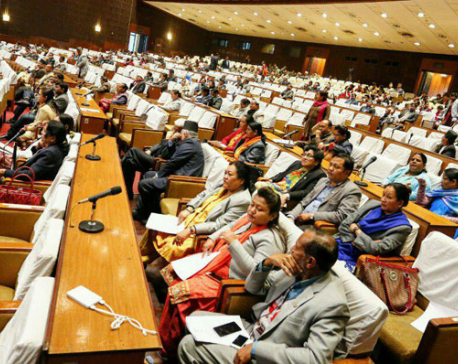 NC member on the SAC Ananda Dhungana, who is among the 18 lawmakers demanding the controversial amendment, said at the committee meeting Monday morning that they decided to drop the amendment proposals. "The amendment was driven by our personal interest and was not the party's amendment. So we decided to drop it, paving the way for parliament's endorsement of the election related bills," he said. Former home minister and NC leader Bimalendra Nidhi seconded Dhungana at the meeting. At the last hour, a provision on three percent threshold for represention in the federal parliament has been softened. A new provision has been added, allowing any political party to make it to the federal parliament without winning any seat under first-past-the-post (FPTP). With this change, a political party failing to win a single seat under FPTP but securing three percent or more votes under the PR category can be represented in the federal parliament. Some fringe political parties were against the original provision in the bill that proposed barring from the federal parliament any political party failing to secure at least three percent of the total vote and also one seat under FPTP. Despite the Supreme Court order of 2013, key election bills have been passed without a right to reject provision which allows voters to choose 'none of the above (NOTA) candidates'. Though section 76 of the Bill on Election of Members of House of Representatives had proposed a NOTA provision, lawmakers from major political parties, mainly the main opposition CPN-UML, opposed the provision. They claimed that it could invite political instability in the newly reinstated democracy. Following lawmakers' protest against the provision, Home Minister Janardan Sharma, who was present at the SAC meeting, announced withdrawn of the provision. Suggestions of election experts and political activists to include a right to reject provision have failed to gain traction. Earlier, the Local Level Election Bill was passed by parliament without including a NOTA provision. In South Asia, India and Bangladesh have NOTA provisions while Pakistan reversed such a provision following non-cooperation by political parties. 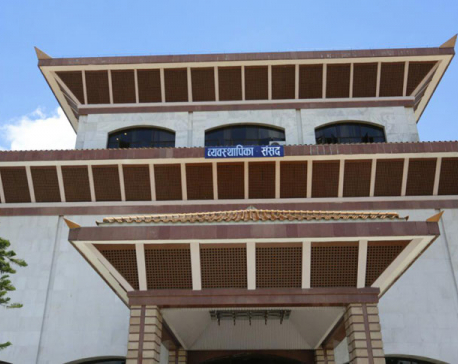 KATHMANDU, April 11: The government has withdrawn the constitution amendment bill from Parliament to replace it with the new one.